Together with others, our collective impact grows. Giving circles are about change, possibility and growth. By gathering individuals who want to learn and work collaboratively, we increase effectiveness, involvement and impact in our shared communities. We invite you to learn more through the resources below. 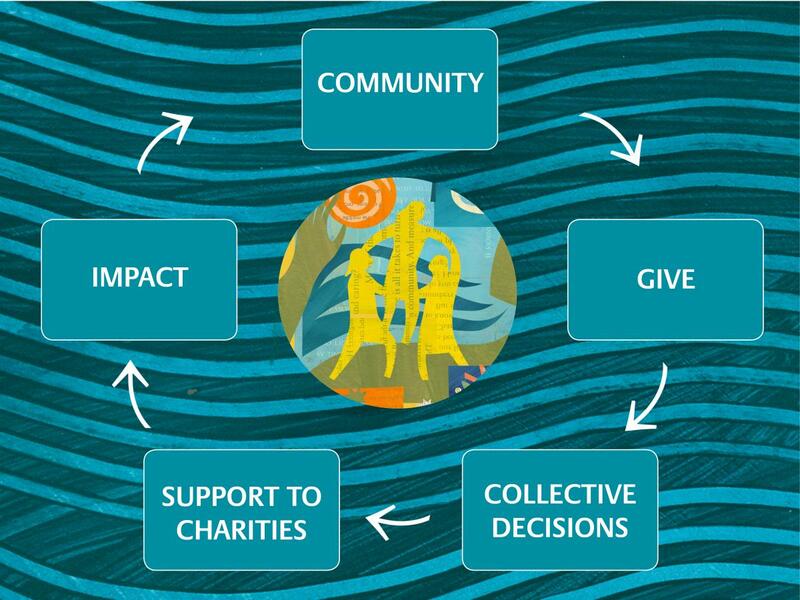 A quick half sheet on how a giving circle at InFaith works. Some find this helpful to hand to prospective giving circle members. An overview of how to start your InFaith giving circle. Provided as a printable 1/2-sized sheet for you to use to invite others to your giving circle. The template is pre-designed and has fillable portions for you to add your invitation message. Considering starting a giving circle at InFaith? This document provides four easy steps to creating your giving circle at InFaith. It is also beneficial to discuss a few logistics before forming a giving circle. Who will be part of our circle? How often do we want to meet and where? Who will lead/facilitate our discussions? Who is responsible for different aspects of the process? How much money do we each want to individually bring to the table? When you start a giving circle at InFaith, you have access to many resources to help structure your giving circle. Our knowledgeable staff if here to assist you at any time. If you currently have a giving circle at InFaith and are having trouble accessing these materials, please contact us. Are you joining a giving circle via invite from a friend? You may make a donation to your giving circle through the form below. Note: Contributions made by EFT will result in a .6% processing fee prior to deposit into the fund. For Credit/Debit card donations, a $.45 processing fee, plus 2.75% of each gift (3.5% for AMEX) will be charged. Contributions made by EFT will result in a .6% processing fee prior to deposit into the fund. For Credit/Debit card donations, a $.45 processing fee, plus 2.75% of each gift (3.5% for AMEX) will be charged. You can also join the giving circle by filling out the Giving Circle Gift Form and sending a personal check. Please make checks payable to "InFaith Community Foundation" with the name of the giving circle in the memo. You have the option to fill out the online fund workbook form below, or print off a copy and mail it to InFaith Community Foundation. Contact us at 800-365-4172 or email Consuelo Gutierrez-Crosby.